Terry Hills Golf Course | Rochester & Buffalo Golf Discounts | Go Golf U.S. Valid Sundays and Holidays after 12 pm. Terry Hills Golf Course joined our program in 2016. The discount they offer our users is $30 for 18 holes WITH cart. Standard peak rate without the coupon is $45! The deal is valid Monday through Friday ANYTIME and Sundays/holidays AFTER 12 pm. Please be sure to schedule your tee time according to the restrictions. The East Course (holes 1-9) is the oldest of the three courses and was built by Parker Terry in 1930. Measuring just over 3,000 yards from the blue tees, its hilly terrain, mature trees, and small greens provide plenty of challenge to golfers of all abilities. The East Course is known for its difficult par fives, with holes 4, 6, and 9 all measuring over 500 yards each. The North Course (holes 10-18) measures in at over 3,200 yards. 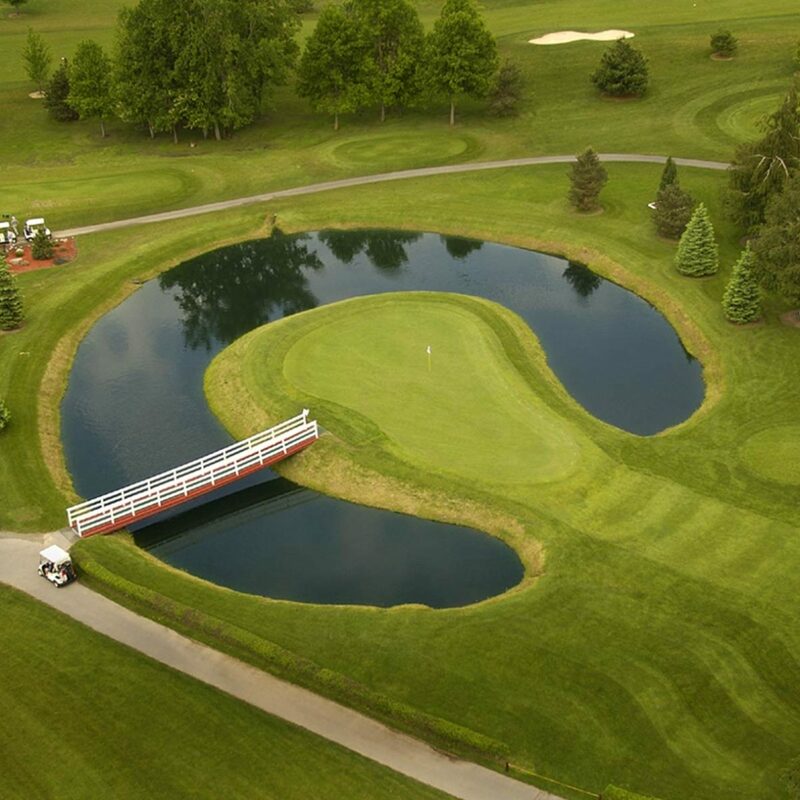 Terry Hills' signature hole is the 14th, a short par three that plays to an island green, which the Rochester Democrat and Chronicle coined in 2004 as a Top 10 Hole in all of WNY (behind such holes as the world famous 13th at Oak Hill's East Course). The North Course also features a local favorite finishing hole in the 18th, which is a dogleg that plays through the woods up to an elevated green. The South Course (holes 19-27) measures just over 3,100 yards and features classic par 5's like #20, which measures 536 yards and is guarded by a pond at the front of the green. Demanding par 4's such as #23, the uphill "cemetery hole" and the looming 26th make this nine a great test.